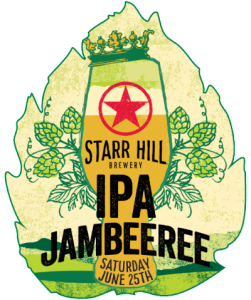 Please join the fun on Saturday, June 25th from 1:00 to 7:00 PM for Starr Hill Brewery’s IPA JAMBEEREE at Hangar Park across from the Starr Hill’s Tap Room on Three Notch’d Road. Proce eds from every ticket sold and all T-shirt sales will be donated to Claudius Crozet Park’s “Play Crozet” capital campaign. This initiative will fund the building of a new pond-side amphitheater at Crozet Park. 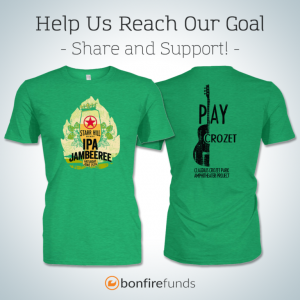 Get your limited edition JAMBEEREE / Play Crozet before it’s too late by clicking here to buy your t-shirt by June 30th and support Play Crozet! And don’t forget to get your IPA Jambeeree tickets as well by clicking here. Wednesday, June 15, 2016 from 7:00 p.m. to 9:00 p.m.